Among the stranger stories from this week is this Fox Business report with the headline: Russian satellite showing ‘very abnormal behavior’ in space: State Department. The story details State Department officials recently noting in public statements that a mysterious Russian satellite appears to currently be orbiting space in a "very abnormal" manner. 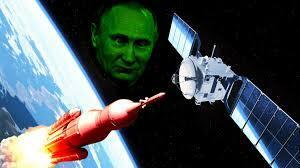 The State Department has raised concerns that it could be a weaponized Russian satellite that aims to take out U.S. systems like GPS, internet and cell phones from space — even while admitting that officials have no clue as to the Russian satellite's true purpose and mission. These days, not knowing Russian intentions is apparently tantamount to "the Russians must be weaponizing everything!". Speaking at conference in Switzerland in mid-August, Assistant Secretary of State for Arms Control Verification and Compliance Yleem Poblete said, "We don't know for certain what it is and there is no way to verify it." Poblete addressed the issue of the mysterious satellite at the UN Conference on Disarmament in Geneva, Switzerland, which was held a mere days after the US reaffirmed its intentions to create a military "Space Force" by 2020, in order to "meet emerging threats on this new battlefield" after Trump initially gave the order in June. "But its behaviour on-orbit was inconsistent with anything seen before from on-orbit inspection or space situational awareness capabilities, including other Russian inspection satellite activities," Poblete claimed. "We are concerned with what appears to be very abnormal behaviour by a declared 'space apparatus inspector'." She was referencing Russia's assertion that the satellite is actually engaged in a routine space inspection mission and is engaged in nothing of a military nature. 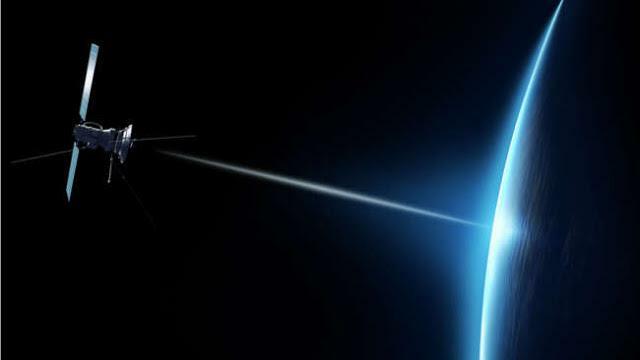 There's been speculation that it could be small satellite called Kosmos 2521 (Sputnik Inspektor), which was deployed from its parent satellite, Kosmos 2519, which took place in August 2017. However, Poblete said the Russians couldn't be taken at their word while hyping allegations that Russia is seeking to weaponize space. The government official also indicated the satellite could be used a weapon to take out U.S. systems (like GPS, internet and telephones) in space. Davenport said a spacecraft capable of interfering with what he calls “the eyes and ears of the U.S. military and the intelligence community” should be a of grave concern. “If there is a spacecraft out there in orbit, it could go up to U.S. satellites — national security satellites that we are so dependent on for warfare,” Davenport told Fox Business’ Lou Dobbs Tonight on Thursday. “Just as computers have gone from huge mainframes down to your iPhone in your pocket, satellite technology has made these massive satellites the size of a refrigerator now the size of a shoe box,” Davenport explained further.